Hooray for more maps! 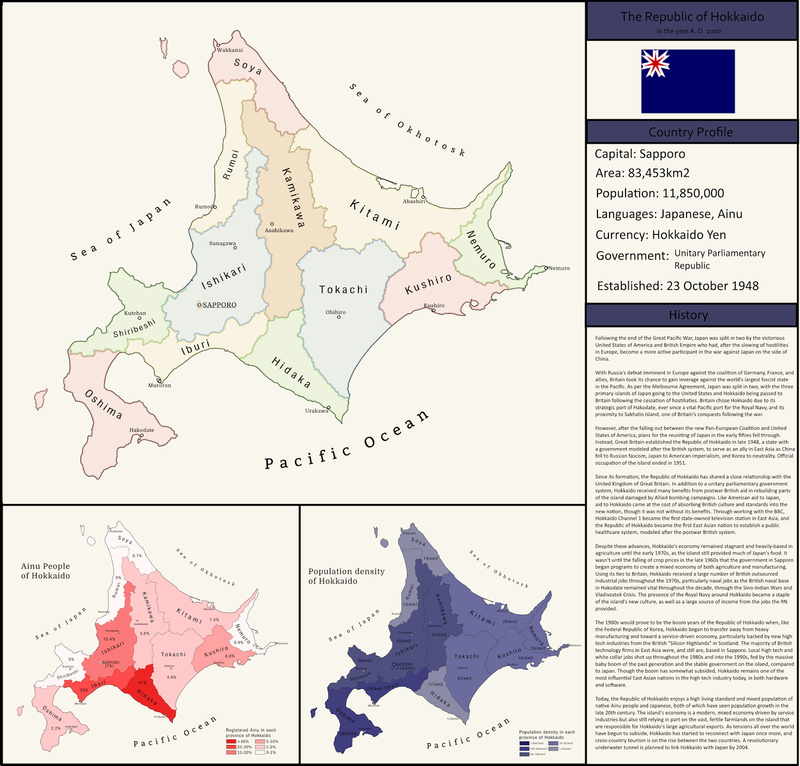 Today I'll be posting my first (and so far, only) attempt at creating a more modern sort of map, complete with an info box talking about its history, showing a flag and vital statistics, etc. I think it came out quite well, and I'm very proud of it. I've had a half-finished map of Japan from the same world as this one sitting on my computer for a while now. Maybe someday I'll finish it. Unlike my other maps, this one has all its history on the map itself, so open the picture in a new tab to read. Have a great day!